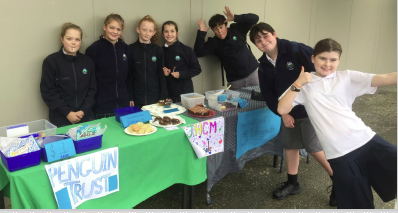 This trimester, Mrs Cunningham’s year 7/8 class has been studying sustainability in social studies class. On Friday, May 11th we worked together to put on a fantastic bake sale. The hope was to raise as much money for the West Coast Penguin Trust as we could.